For years, Hollywood has unsuccessfully tried to get an Uncharted movie off the ground. That’s unfortunate because the Uncharted series is actually one of those rare video game franchises that could be turned into a terrific theatrical experience. Whenever the project has been mentioned in the past, fans of the series have proclaimed that former “Castle” & “Firefly” star, Nathan Fillion, should play the ruggedly handsome, charismatic & adventurous main character, Nathan Drake. And, although Sony (at least for now) has decided to go with a younger version of the main character and make the first Uncharted movie a prequel to when the games take place, Mr. Fillion, with the help of writer/director Allan Ungar have shown that that might not be the best way to go. The two (along with several actors & writer Jesse Wheeler) have created a short film of what they imagine the Uncharted movie could look and feel like. So, was this a publicity stunt? Something to do for fun? A nod to fans? Or, an audition? Whatever the reason for the 15-minute piece of popcorn munching goodness, it’s definitely leaving viewers wanting more and possibly proving that Mr. Fillion should be the one to fill the shoes of the infamous male tomb raider. 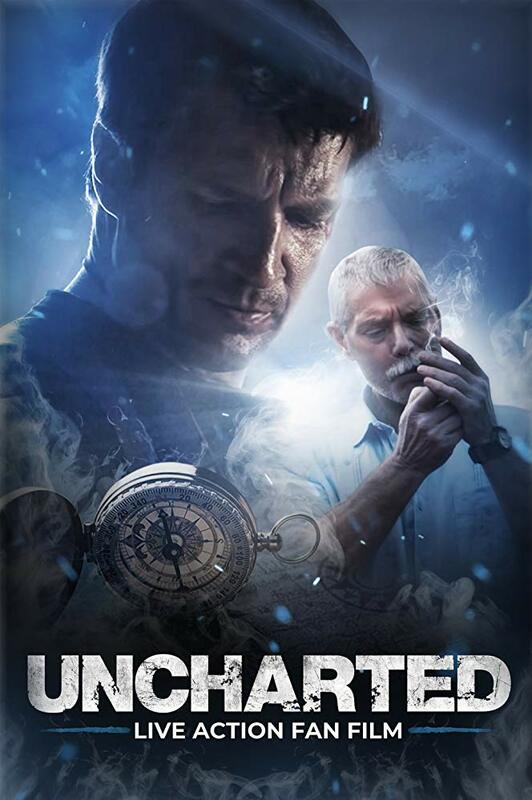 You can watch the Uncharted short on Allan Ungar’s YouTube channel and decide for yourself. If you do give it a watch, let us know what you think in the comments below. Is Nathan Fillion the embodiment of Nathan Drake? Why or why not? And, stay tuned for more information regarding the Fillion/Ungar Uncharted collaboration because there’s rumor it might turn into a web series. Want to see more of Mr. Fillion? Check out his new TV series, “The Rookie,” coming soon to ABC. Unfamiliar with the Uncharted games? Check out a trailer for the third one in the series.